I was invited by the Luxembourg Embassy in Turkey to give a keynote speech at the ICT Luxembourg event in Istanbul on the 12th of February with the participation of Mr Schneider, the Deputy Prime Minister & Minister of Economy of Luxembourg. His delegation included all the important players of the entrepreneurship eco-system of Luxembourg, such as representatives of the Luxembourg Chamber of Commerce, the CEO of the Luxembourg Telekom, the Director of the Innovation Center, and so on. 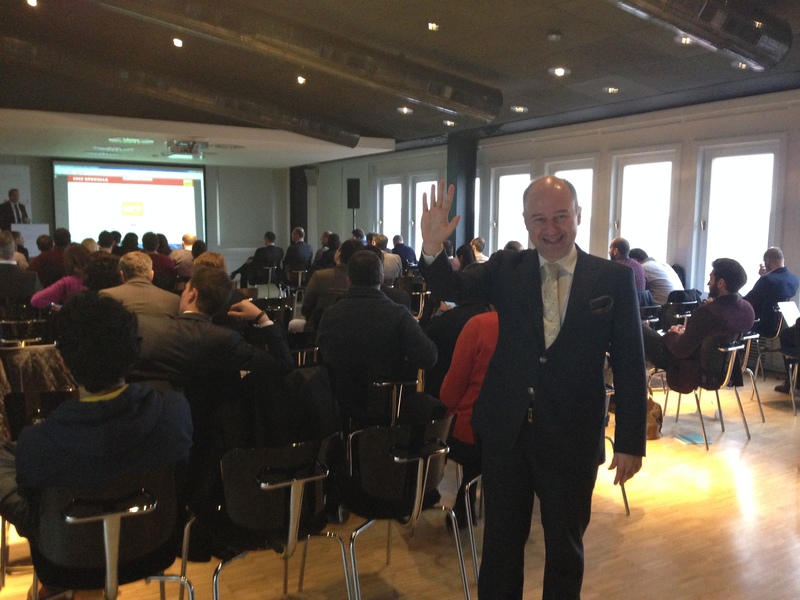 The topic of my speech was ‘Creating a Powerful Bridge Between Start-ups & Entrepreneurs of Turkey and Luxembourg’. At the end of my presentation, I put forth a concrete proposal to create a stone bridge, not just a paper bridge. My proposal was to create a ‘Lux-Key’ Start-up Angel Investment Fund with the participation of Turkish and Luxembourg Business Angels, to be supported by the governments of Turkey and Luxembourg. This fund will invest in the entrepreneurs and start-ups of Turkey and Luxembourg. By making this proposal, I wanted to put into action what we had talked about in speeches and to take serious, concrete steps to reach the goals of this important togetherness as early as possible. Before making this proposal, I had the opportunity to talk with the Minister of Economy about how we could foster the entrepreneurial bridge between the Turkish and Luxembourgian ecosystems. Because the Minister is a start-up friendly and highly communicative person, I wanted to benefit from these positive traits. He liked the idea of setting up a working committee to create concrete outputs and holding an EBAN congress before the ICT Spring event in May. His positive approach heightened my motivation and I immediately put an extra meeting on the agenda for the afternoon: Setting-up a Lux-Key joint committee to create a sustainable bridge between Luxembourg and Turkey. We named the committee members (5 from each side, for a total 10). Before telling you the specific objectives of this committee, I’d like to give you some information about the main players of the Luxembourg entrepreneurship and business eco-system. Luxembourg began the new millennium with an ambitious programme to become a recognised leader in the 21st century’s knowledge and technology society. The City of Sciences, whose construction is nearly complete, assembles university departments, the National Research Laboratory, and technology businesses in a single location. Additionally, the National Research Fund’s resources have been increased to finance a multitude of projects. The public budget for research in Luxembourg increased from €28 million to €280 million between 2000 and 2012, and the government’s goal is to spend 3% of GDP on research and talent recruitment by 2020. Research is focused on materials, coating technologies, molecular biosciences, IT and communications security, and energy and environmental technologies. In 2008, a $200 million 5-year cooperative programme with major US research institutions was launched in the field of molecular diagnostics and is intended to produce substantial advances in personalised medicine. An equally ambitious programme to stimulate private sector innovation has matched public sector R&D investment. A comprehensive set of legal, tax and financial incentives aimed at generating, managing and commercialising intellectual property rights are at the centre of this strategy. Service and organisational innovation gets support, while SMEs enjoy free consulting to help them apply for government assistance programmes. Capital expenditures can be relieved by cash grants and low interest loans. Public funding levels can reach up to 35% of capital expenditures for large companies, and more than 50% for start-ups. Investors may also apply to the government or regional authorities for space in national or regional business parks. Start-ups may qualify for facilities in one of several incubators. Financial services, products and software. International companies – among them Goodyear, Delphi Automotive, Guardian Industries and DuPont – have taken advantage of the fertile soil for R&D and innovation in Luxembourg. A state-of-the-art IT infrastructure and ultra-broadband international connectivity support these R&D and innovation centres. Internet security, with a comprehensive countrywide electronic signature programme and security awareness initiatives, is an integral part of this high-value infrastructure and services environment. The 21st edition of the Index of Economic Freedom has just been released by The Heritage Foundation and The Wall Street Journal. Economic freedom is defined as the absence of any coercion or constraint by the government on the production, distribution or consumption of goods and services beyond what is necessary to protect and maintain citizens’ liberty. Launched in 1995, the Index evaluates countries in four broad policy areas that affect economic freedom: rule of law, limited government, regulatory efficiency, and open markets. There are 10 specific categories: property rights, freedom from corruption, fiscal freedom, government spending, business freedom, labour freedom, monetary freedom, trade freedom, investment freedom, and financial freedom. The 2015 world ranking (a total of 186 countries) is led by Hong Kong (89.6 of 100), Singapore (89.4) and New Zealand (82.1). 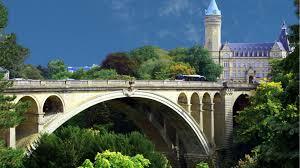 Luxembourg ranks 21st globally with a score of 73.2 out of 100, and is generally regarded as “mostly free”. Germany ranks 16th (73.8), the Netherlands 17th (73.7), Belgium 40th (68.8) and France 73rd (62.5). Luxembourg is ranked 10th out of 43 countries in the Europe region, and its overall score continues to be above the world and regional averages. 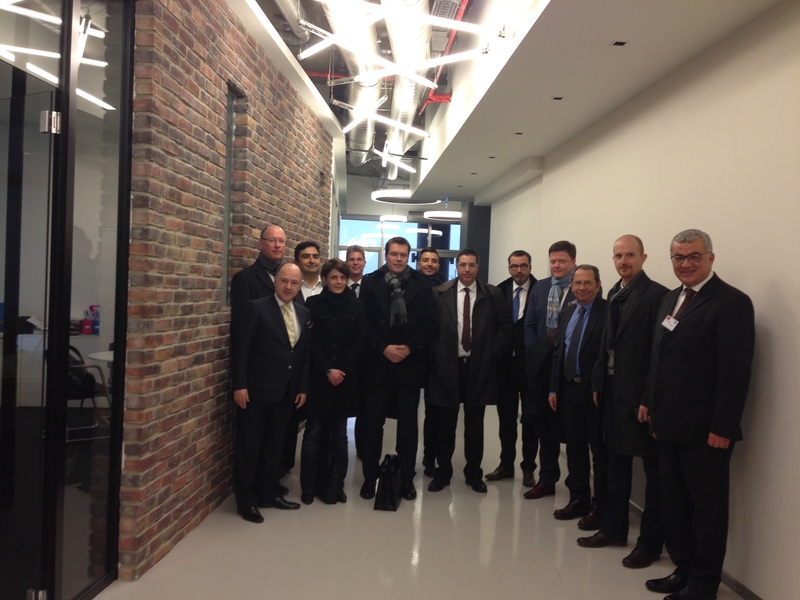 The main goal of this delegation was to develop mutual business relations between Turkey and Luxembourg. Developing and creating a bridge between the two countries’ entrepreneurs and start-ups was one of the segments the delegation focused on. Their programme started with an ICT conference where start-ups also pitched their business projects. I think this is one of the most important organizations because ICT Spring brings the best ICT start-ups every year together. Kamel Amroune, co-founder of ICT Spring, was on the delegation team. Here you can download the brochure of the upcoming event. What is ICT Spring Europe? Attendees from over 70 countries – the e-world gathers; come and join the conversation! Marketing managers, community managers, CEOs, CIOs, CFOs, VCs, investors, entrepreneurs, start-ups, tech decision-makers in IT, finance, banking, economic and technology press, government, cities, etc. I think it would be useful to organise an EBAN Congress on the 17th, 18th and 19th in Luxembourg and create an opportunity for the start-ups of ICT Spring to meet with hundreds of angel investors who will coming to attend the EBAN Congress. I am sure such an organisation will leverage the impact of the ICT Spring, where start-ups will be able to get in touch directly with sources of global finance. Technoport® ltd. set up in June 2012 as the result of a merge between the former Technoport®, a technology-oriented business incubator launched by the Public Research Center Henri Tudor in 1998, and Ecostart I and II, business support infrastructures developed since 2004 by the Ministry of the Economy and Foreign Trade. Luxinnovation offers a wide range of integrated and personalised services which are based on a sectoral approach and provided free of charge to businesses of any size, to innovative start-ups and to public research organisations. The Agency’s key strengths lie in the complementarity of its internal competencies and in the quality of its national and European networks, enabling it to provide efficient and all-inclusive support that meets its clients’ needs. Here you can read a useful document produced by Luxinnovation for start-ups. I strongly recommend that you visit the web site of Luxinnovation because there are very valuable documents for start-ups and entrepreneurs. I also want you to let you know about TLBC, one of the key addresses for entrepreneurs and businessmen doing business in Luxembourg. Chaired by Zeynep Aslan, the TLBC was founded by a group of experts in the fields of finance, law and international lobbying. Its aim is to advise and inform business people about working with Turkey and to help them adapt to current changes in the financial world. 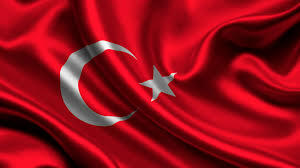 The TLBC connects with ministry-level executives in both Turkey and Luxembourg and provides details about how relations between the two countries can be developed in the best way. Zeynep Aslan was also an invited delegate of the European Business Angels Investment Forum held in Istanbul on the 15th and 16th of December, 2014 to hear her insights from Luxembourg. Having understood from my morning discussions that the Deputy Prime Minister liked the idea of creating Lux-Key Co-Working Committee, EBAN Congress to Luxembourg and creating a start-up fund to invest in start-ups of both countries, I added a joint committee meeting to the afternoon programme. After this visit, I was presented with Beethoven CDs, a very nice present from the Chamber of Commerce of Luxembourg. I invited our colleagues to the reception of the Entrepreneurial Faces of Turkey exhibition at the art gallery of the French Consulate, and we agreed to meet at the French Consulate at 7pm. This committee is going to explore ways to create a sustainable bridge between Luxembourg and Turkey. I am sure this newly-founded joint committee will produce very beneficial concrete projects between Turkey and Luxembourg. By the way, here you can read a summary of these notes in Turkish in my weekly article in Para (Money), the weekly economy magazine of Turkey. This very fruitful event would not have been realised without the hard work of Kivanc Ergu, Economic Attaché of the Embassy of Luxembourg and H. E. Arlette Conzemius, Ambassador of Luxembourg to Turkey. 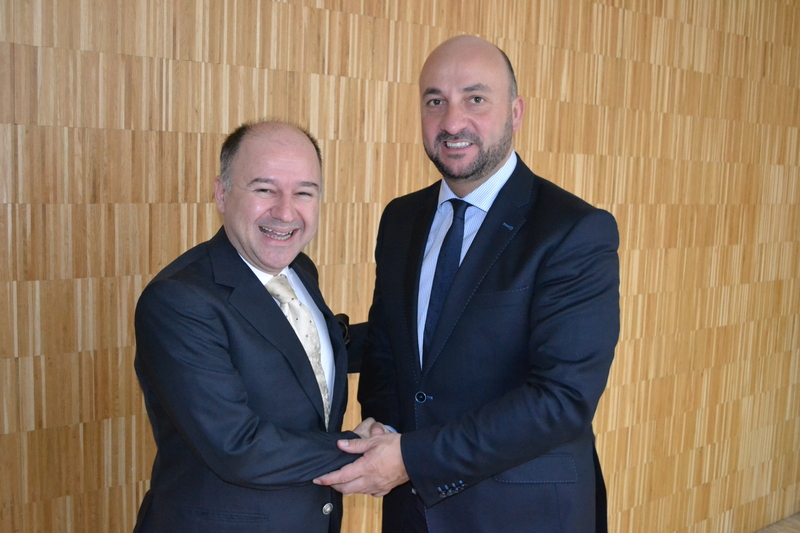 Thank you very much, dear Kivanc, and thank you very much, H. E. Conzemius for fostering the entrepreneurship and ICT start-up & high-growth sectors of Luxembourg and Turkey and for organising such events which make it possible for us to meet with colleagues and policymakers in Luxembourg.